The organization said they will hold a press briefing at 11am GMT today to give further details. Mr Assange has been in the Ecuadorian Embassy in London for almost seven years to avoid extradition to Sweden and the US. The email said: "WikiLeaks will be holding a press briefing on a new, entirely unexpected, criminal case involving Julian Assange escalating current tensions." 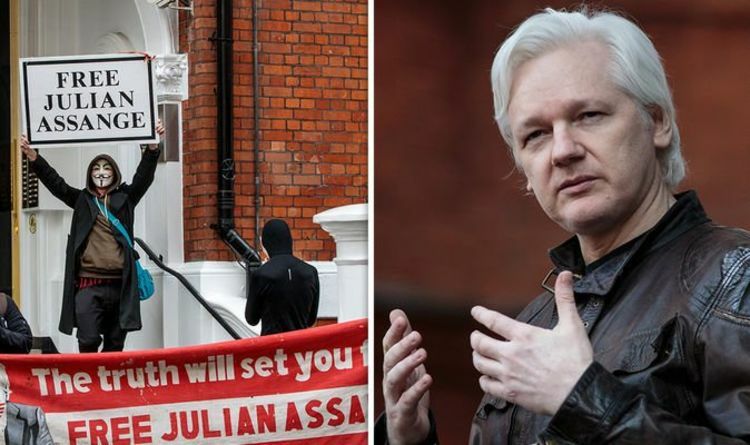 Last week, WikiLeaks announced that Mr Assange was due to be expelled from the embassy "within hours to days "according to a" high-level source. " However, the Ecuadorian Foreign Ministry later denied reports, calling it" false news. " WikiLeaks tweeted on Thursday night: the Ecuadorian state has told WikiLeaks that Julian Assange will be expelled within 'hours to days' using INA papers offshore scandal as a pretext and that he already has a deal with UK for his arres t. "
Following the rumors that Mr Assange would be expelled from the embassy, ​​protestors swarmed outside. His girlfriend Pamela Anderson declared n Twitter that "the truth will prevail."